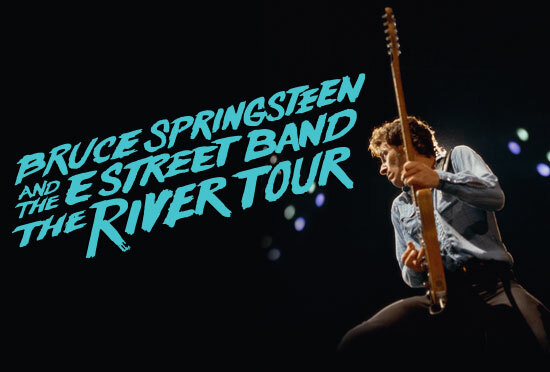 Bruce Springsteen and the E Street Band bring The River Tour (#TheRiverTour) back to U.S. shores this summer. Eight newly announced shows start Aug. 23 at MetLife Stadium in East Rutherford, NJ, and continue through Sept. 14 at Gillette Stadium in Foxborough, MA. Since launching The River Tour in January, Springsteen and the E Street Band have gone "legions above and beyond the normal concert experience," according to The Boston Globe, with Herculean sets lasting well past three hours. Even on the final night of the first North American run, "every musician on that stage was finding something more to offer," said NPR, "and almost every performance of every song felt renewed." The next slate of U.S. concerts, which will feature selections from 'The River' as well as other classics, follows 37 initial North American dates, as well as an 11-week European trek. The European dates begin May 14 in Barcelona, Spain, and include appearances at Italy's Rock in Rome and Portugal's Rock in Rio Lisboa. Updated 5/24: A second show in Philadelphia at Citizens Bank Park has been added! Tickets for the September 9 show go on sale May 25 at 10AM at Phillies.com/Springsteen.